This week we are excited to welcome Lara Willard to the world of the WordWraiths. Lara is a wonderful editor whose services you can find at larawillard.com. She has been kind enough to share some great rich content about the process of working with freelance editors! Hi, I’m Lara, an absolute word geek. Since 2005, I’ve been tutoring the mechanics of English. Since 2008, I’ve been editing fiction and poetry at a university level, and since 2013, I’ve been freelance editing fiction and comics. Thanks for welcoming me to the Wordwraiths community! I’m here to answer some questions writers often have about freelance editors. Q: What do freelance editors do? Freelance editors are small business owners hired (paid) by writers to read their work and give professional feedback. Many—if not most—freelance editors have other part-time or full-time jobs. They might be stay-at-home parents (a full-time job even if it’s not paid! ), teachers, librarians, or copy editors. Many freelance editors are also writers. 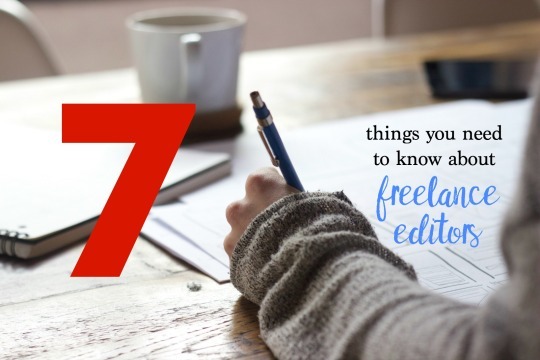 Q: Do I even need a freelance editor? If you can get agents and book deals on your own, your publisher will have an in-house team of editors, copy editors, and proofreaders that will get your book ready for production. If you work with a traditional publisher, they pay you—you don’t pay them. If you know you need some extra help to get your manuscript ready, you can hire a freelance editor at any stage of your development. I’ve edited for editors and for agents who have published stacks of books. All writers, even editors themselves, need at least an editor and a proofreader—the more proofreaders the better!—but if you traditionally publish, you won’t have to pay for those services. Q: How do I know when my manuscript is ready for an editor? Depends on what you need! A developmental edit will help you develop (write) your manuscript or help structure it after you have a complete draft. An editor doing a manuscript critique will read your full manuscript and give 1-2 pages of feedback on any major, big-picture issues. A substantive or line edit will improve your voice by restructuring paragraphs, cutting unnecessary words, and strengthening word choice and sentence structure. A copy edit checks for spelling, grammar, syntax, facts, and consistency in content. A proofread is the final check before publishing for punctuation, typographical, spelling, or layout errors. You can skip the developmental stage if you have a writer or creative friend to bounce ideas off when you’re stuck. You can skip the manuscript critique if you have critique partners or beta readers read through your manuscript and give you feedback. You can skip the proofread if you’re self-publishing and you have 5+ friends read through for errors (but you should probably at least gift them your book or take them out to dinner!). Everybody needs line edit—that will either happen with the publisher, if you’ve already got a book deal, or with an editor you pay. Q: How do I network with freelance editors? Remember that, like writers, agents, and publishers, we’re all people who love books. Unlike agents and publishers, freelance editors are not gatekeepers—we are paid by writers to help them, not paid by publishers to decide what will sell. To meet freelance editors, follow us on social media, follow our blogs, and connect with us by commenting or discussing books with us. The biannual #PitchtoPublication contest on Twitter and Pit2Pub.com will introduce you to a dozen freelance editors, and you can enter for a chance to get a manuscript critique. Or you can meet the “grammar avengers”—a team of university-trained editors I assembled at MSeditors.com. Q: What are red flags when looking for freelance editors? Anyone who is rude online. Anyone who doesn’t make his or her prices clear. Ask for a flat rate for the total or a price per word, not an hourly charge. Anyone who doesn’t send an invoice or contract (PayPal invoices can serve as both). Remember—anyone can call him- or herself an editor, and anyone can get published by a friend or family member. •	work experience with a nationally recognized publisher or imprint. Copy editors and proofreaders need to know how to spell, use punctuation, or structure sentences. I saw a website last week of a team of published authors who were offering editing services. They’d make good developmental editors, but the copy on the site was so riddled with grammatical and typographical errors, I wouldn’t go near them for copy editing. All humans make mistakes (Why doesn’t Twitter have an edit feature?!) but multiple problems on a permanent website? That’s a definite red flag. A line editor should have a degree in English or professional (besides freelance) experience in editing. Remember, though, that graduates might be C students when it comes to editing. Quick responses via email or Twitter are a great sign, but taking a while to get back to you isn’t necessarily a red flag. Keep checking in with the editor if you’re feeling ignored or fear your message got lost (e.g., an email every week or two). You should agree on a deadline before you make your payment, otherwise the editor should have a way of updating you to let you know when your work is to be expected. I have a queue online which clients can check to see what I’m working on, how long it will be before I get to their work, and when I expect it to be finished. Q: How do I choose a freelance editor? First: research! Pick someone with a website. Look for experience or credentials (listed above). Read client testimonials and see if those clients actually exist. Look for testimonials on Twitter (tweeted by people other than the editor). Look for success stories. Look for prices and services that align with what you need. Second: ask for a sample edit! Editors need to see part of your manuscript in order to give an accurate quote and help you determine whether or not you’d work well together. Usually sample edits are 500–1,500 words, sometimes up to the first chapter for a critique. Get at least three sample edits from different editors and see who has the comments that resonate the best with you. If it still comes down to two editors, decide based on how much experience they have with your age category and genre. Q: How do I work with a freelance editor? Understand that edits take time and therefore cost money. If you’re paying for an editor, you’re paying for that person’s expertise and time. It took you a long time to write your manuscript, and it will take a long time to edit it. Remember that you are the customer—so you have the final say regarding what stays and what goes, which edits you accept and which you reject. But also remember that you hire an editor because you want a professional opinion. Some edits are objective (that’s what proofreaders and copy editors look for), and some are subjective. The subjective ones are those that you might disagree on. If you can’t agree on something, ask for the editor’s reasoning. If you both have good reasons for your opinions, get a second, third, or fourth opinion. Bonus Q: What are your favorite writing or editing resources for writers? Lara Willard is a pixelsmith and wordherder, host of the #pg70pit writing contest, and writing instructor at storycadet.com. She’s edited for literary agents, Marvel Comics editors, poets, authors, and comic creators. 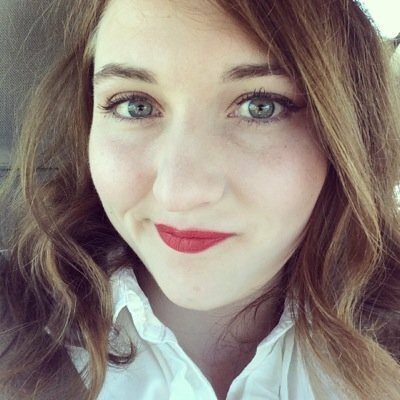 While scribbling in margins and gutters, she sometimes tweets editing tips @LaraEdits. Lara lives in the Twin Cities with her husband, sons, and dog-show dropout Havanese. Connect with her on Twitter, on Instagram (@veritylane) or on her blog (LaraWillard.com). Next postIt’s 3 a.m., Do You Know Where Your Writers Are?